This is by far my favorite sub in town, ladies and gentleman may I introduce to you the best sandwich in Longmont, the Turkey Bacon Ranch from Subworks. It’s the perfect combination of warm toasted flaky bread, turkey, crispy bacon, hot peppers, melty cheese, and veggies drizzled in ranch. I seriously have one at least once a week. They are located right next to Longmont High School so definitely be prepared for a busy scene around noon. The do however deliver for $1.00 if you want to skip the crowd and apparently just hired an extra driver to speed up delivery times. Their online ordering system is not the best but at least they don’t charge you for every substitution like Grub Hub does. Also, if you sign up for their rewards program you get discounts every month and the occasional free sub when your points add up. 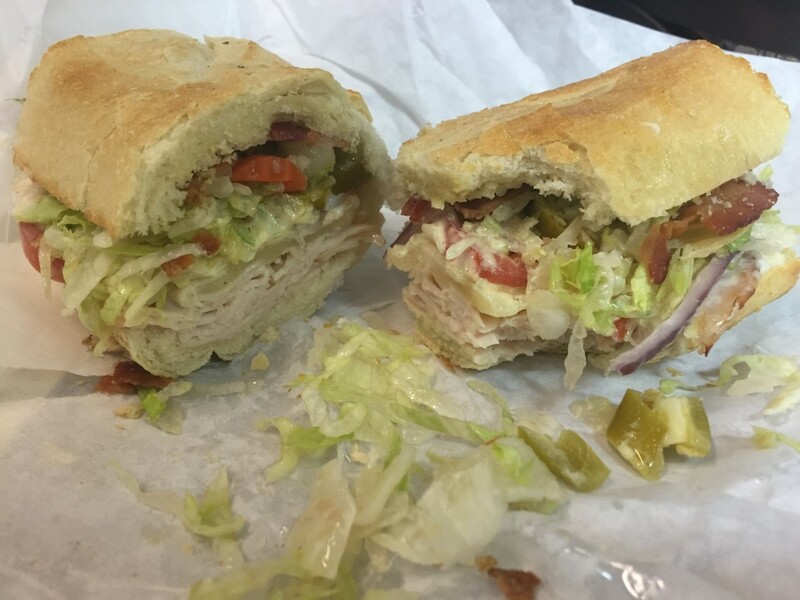 We have so many sub sandwiches places in Longmont and believe me I’ve tried them all, Snarf’s, Deli Zone, Your Butcher Frank, Jersey Mikes, Jimmy Johns, Silvermine, etc. and I still think Subworks is the best. Don’t get me wrong I’m grateful for the variety of lunch spots Longmont has to offer and def can find something I like at all these places. Well, maybe not all of these places but for sure the majority. I’m basing my opinion is based on flavor, texture and proportions. Of course, everyone has different preferences when it comes to the perfect sandwich combination and this might not be yours. If you’re a fan of bland try Deli Zone’s South Bronx and if you like a ton of meat you’ll love Your Butcher Frank who puts at least a pound of meat on their sandwiches. Personally, Subworks has never let me down; they are consistently good. However, I must admit I always get the exact same thing, Turkey Bacon Ranch with no sprouts or pickles. In the famous words of LeVar Burton, “You don’t have to take my word for it”, get out there and try it yourself!